The Building Hope Luncheon is Habitat for Humanity Philadelphia’s signature fundraising event. In 90 minutes Habitat shares the successes of Habitat families, and inspires the Greater Philadelphia community to rally around the cause of affordable housing. Your support helps build strength, stability, and self-reliance through shelter. This year, the luncheon features a conversation with Dawn Staley. With roots in our North Philadelphia community, Staley is recognized for her body of work as one of the most decorated participants in U.S. women’s basketball history. 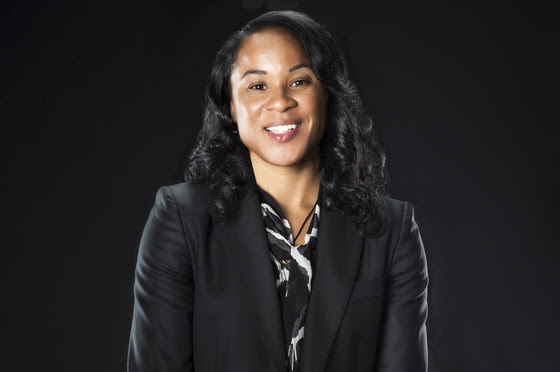 A three-time Olympic gold medalist and five-time WNBA all star, Staley is currently the University of South Carolina Women’s Basketball Head Coach. Prior to her position at the University of South Carolina, Staley led the Temple Women’s Basketball team to six NCAA tournament appearances for the 2000 to 2008 seasons. This April, she returns to Philadelphia to take the Building Hope Luncheon stage for a conversation on her connection to our community and her wildly successful basketball career. There is no fee to attend, but guests are invited to contribute at the event. The suggested minimum donation is $150. Please email Marianne if you would like to join the BIA table at the luncheon. There is no fee, but guests are invited to contribute at the event. The suggested minimum donation is $150.